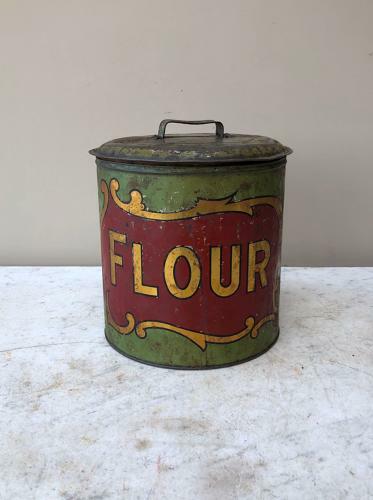 These genuine antique toleware tins are so hard to find now....the colour on this FLOUR is very good. Lovely gilt with greens and reds. Original lid...good and clean to use inside.